A few months ago Grace Ormonde Wedding Style Magazine reached out wanting to discuss joining their coveted Platinum Listing. Although flattered, I was cautious. I took a lot of time to think about the Denver wedding market, my target market, and what Grace Ormonde has to offer. Honestly, there is a disconnect. Grace Ormonde (is a person, a magazine, and a brand, GO) represents a high-end, fashion-forward, couture market. Her brand is very prevalent, and originated on the East Coast and is popular on the West Coast as well. However, in the Denver and Rocky Mountain wedding market, it is not exactly a household name. Which, in my opinion, is too bad. GO has STUNNING imagery. Very sleek, sensual, and inspiring work is being published. GO represents everything I love, which is why I couldn’t get the proposition out of my head. I am a spirited photographer for indulgent and sophisticated brides. Exactly what GO represents and why I was attracted to working with them. As I thought about the disconnect between this high-end, couture wedding brand and what is happening between the Coasts, I thought why not bring it here? It is true, Denver isn’t exactly the over-the-top wedding mecca of the world like Dubai or Lake Como, or even Southern California. BUT that doesn’t mean we don’t have style. I KNOW there have to be girls out there like me who love the clean, sleek look that Grace Ormonde represents. Classic and elegant CAN mean stylish. And couture doesn’t have to mean out of reach. I think there are amazing design opportunities and inspiration to be taken from the pages of Grace Ormonde Wedding Style Magazine. I am excited about educating brides on what is happening in the international wedding design market. I am even more passionate about bringing together a community of like-minded wedding professionals, vendors, and venues in the Denver area that have similar ideas. It’s going to be a lot of fun! I am determined to raise the bar on design and wedding fashion for the Denver wedding market. I am excited to join these other awesome Platinum List vendors in working to bring brides fashion-forward wedding style. Cheers!! 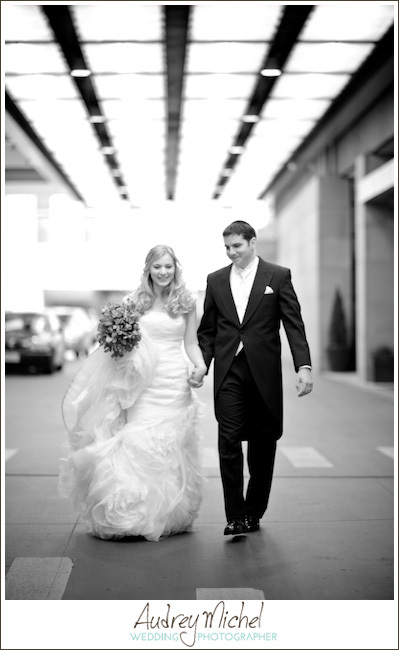 View the Audrey Michel, Wedding Photographer profile page on Wedding Style Magazine.